Whilst most competitors can rival Apple's tech specs, can they follow its lead in becoming more socially successful? Reports state that Apple will be the first technology company to adhere with the Fair Labor Association (FLA), a nonprofit organisation dedicated to ending sweatshop conditions in factories worldwide, after a disclosure of 156 of their suppliers were made. By joining the FLA, Apple agreed for their suppliers to undergo investigation, and for customary reports to be made concerning the labor. Apple's Senior Vice-President of Operations, Jeff Williams, was more than happy with the announcement; "We’re extremely proud to be the first technology company admitted to the FLA. Last year we performed more than 200 audits at our supplier’s facilities around the world. With the benefit of the FLA’s experience and expertise, we will continue to drive improvements for workers and provide even greater transparency into our supply chain." Whilst there may have been gossip and rumours concerning Apple's involvement with the FLA, it is now official, and another title can be held under their belt: The world's first fair trade electronics maker. Apple have stated that they'll be working with other suppliers to improve their labor record, after revealing that 70% of its suppliers have violated the rules on labor conditions. These changes aren't only boosting Apple's social success, but could be a stepping-stone to the improvement of Apple's (already large) financial success. 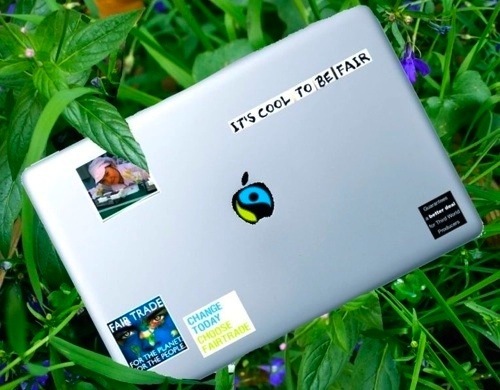 Would customers be willing to pay a bit more for a Fair Trade certified gadget? On that note, which companies will follow Apple's lead on improved labor conditions? Kickstarted the Writers team back in October 2011 alongside veteran OctaVariuM, a close friend of mine. I loved writing news articles, and the occasional editorial and review. Although my priorities now lie with the administration team, I'm always willing to set some time aside to write an article or two.